Our team is at NAB 2019 scouring the show floor for the latest exciting products that are coming to market this year. Here’s our recap of some of what we’ve seen so far. The HXR-MC88 is a new fully featured, lightweight, compact camcorder that features a 14.2-megapixel (effective) 1.0-type stacked CMOS sensor, BIONZ X image processor that captures full pixel readout without pixel binning, Fast Hybrid AF and built-in wide-angle 12x optical zoom lens. Other features include, built-in ND filter that adds up to 6 stops, dual media slots compatible with SDXC and SDHC cards as well as Memory Stick PRO Duo (Mark 2) / PRO-HG Duo cards. Look for the Sony HXR-MC88 to arrive in stores later this summer and retail for around $1699.99 CDN. 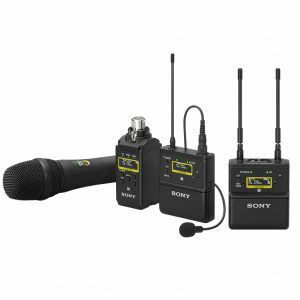 Also from Sony is their new UWP-D Series wireless microphone system that features a low profile and light weight design, digital audio processing, NFC Sync and an OLED display. 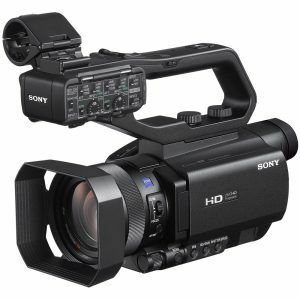 Sony says that the UWP-D series will offer “seamless integration with their PXW-Z280 and PXW-Z190 XDCAM camcorders. The UWP-D series will be hitting shelves as kits or individual components later this summer. Designed to capture footage with a more vintage feel, the qualities of the lens change as the aperture is widened, creating an “artistically pleasing and cinematic look”. The line will consist of seven full-frame PL mount cinema lenses with focal lengths ranging from 14mm to 135mm. Each lens features an 11-bladed iris as well as 300-degree focus rotation angle and gear position and will be compatible with Canon’s complete lineup of Cinema EOS full-frame and super 35mm 4K cameras. Canon also states that the lenses will also be compatible with “the latest full-frame and Super 35mm PL-mount cameras from leading manufacturers”. The core set includes the 24mm, 35mm, 50mm and 85mm lenses and is expected to hit shelves this August, followed by the 14mm later in the fall and the 20mm and 135mm lenses following late 2019 or early 2020. 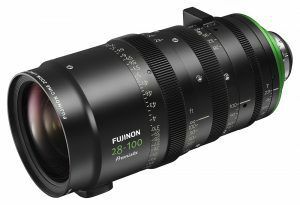 Still on the lens side of news, Fujinon also announced a new line of PL mount Cinema Lenses they have named Premista. The line currently consists of two lenses, a 80-250mm T2.9 – T3.5 Full-Frame Zoom (currently in development stage) and a 28-100mm T2.9 Full-Frame Zoom with more lenses planned. Both lenses feature large-diameter aspherical lens elements that are combined with a newly developed focusing and zooming system to lower distortion and colour aberration. The lenses also support the Zeiss eXtended Data communications standard which can record lens metadata (focus, zoom and iris settings for captured footage, but also includes correct lens distortion and peripheral illumination information when used with compatible cameras. The SHOGUN 7 is a HDR monitor-recorder-switcher that supports up to 4 live HD SDI video streams and one program stream simultaneously. The Shogun 7 can record up to 5.7K resolution, up to 4K 120fps and 2K 240fps in ProResRAW and offers 10-bit 4:2:2 recording up to 4K/60p and 2K/240p in ProRes or DNxHR formats, for richer colour. The four SDI inputs support Quad Link, Dual Link or Single link cinema cameras and there are 2 HDMI (1 x input, 1 x output) for tethering to additional monitors and utilizing the Shogun 7’s Dolby Vision HDR output capability. 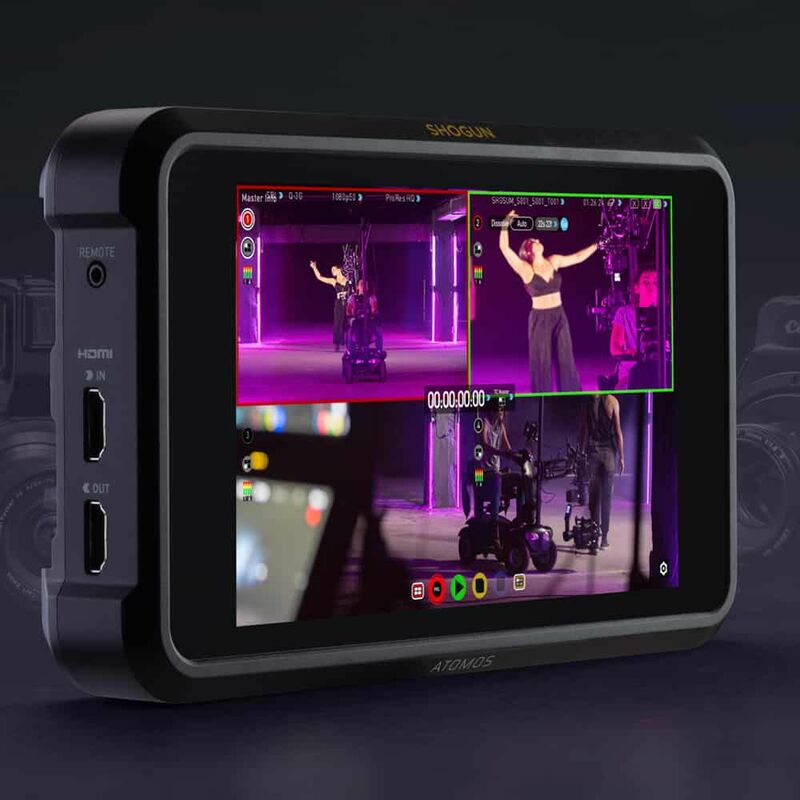 The Atomos Shogun 7 is expected to hit shelves in June.